The sky is the limit for those in search of a condo or townhome in the greater Wilmington area. Depending on which part of town you’d like to hang your hat, there is a wide range of affordable and amenity-filled choices! Downtown’s offerings are a diverse collection of riverfront properties, historic buildings, newer townhomes and repurposed industrial space. In addition to downtown proper’s condos and townhomes, there are others, tucked away in charming neighborhoods, such as Chestnut Heights, Sunset Heights and Greenfield Lake. 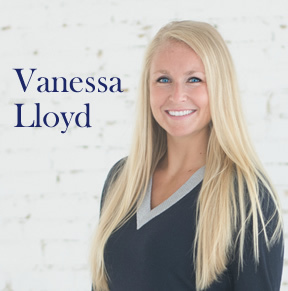 If you are looking to buy or sell a condo or townhome in Wilmington, call Call Vanessa Lloyd at (910) 408-7224. Moving away from downtown, and shifting focus from midtown to Mayfaire, plus the surrounding beach communities, condo and townhome communities are springing up all over! They are perfect for home buyers who want to start small, empty nesters and investors. As with traditional single-family homes, Wilmington’s more compact home choices offer a full spectrum of price ranges, amenities and floor plans to choose from. Is a covered bike shed important to you? How about a parking garage, keyless entry, fitness center, golf course, swimming pool or boat dock? Chances are, your list of condo and townhome must-haves can be met somewhere within the Port City’s booming housing market! We encourage you to consider the features that best fit your individual specifications and then, give us a call. When you have decided what you are after, then we can better guide you to the condo or townhome community of your dreams!